Andrew Robertson says Liverpool's players are ready for a big finish to the season. Jurgen Klopp's side are two points clear at the top of the Premier League table and into the last eight of the Champions League with a chance of clinching an historic double. 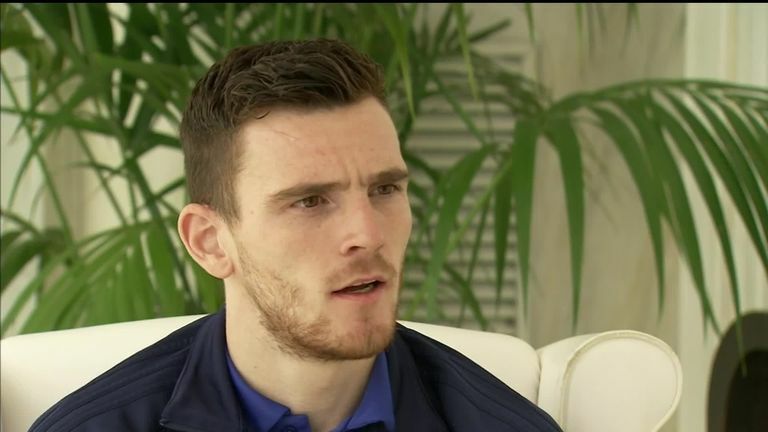 Robertson, currently on international duty with Scotland, says Liverpool's recent dip in league form was overplayed and insists his team-mates are ready to step up a gear to ensure their "fantastic" season is rewarded with silverware. "It's part and parcel of football. We had a couple of draws, they were not the worst results. We didn't play our best but drawing away to Manchester United and Everton are usually good results.